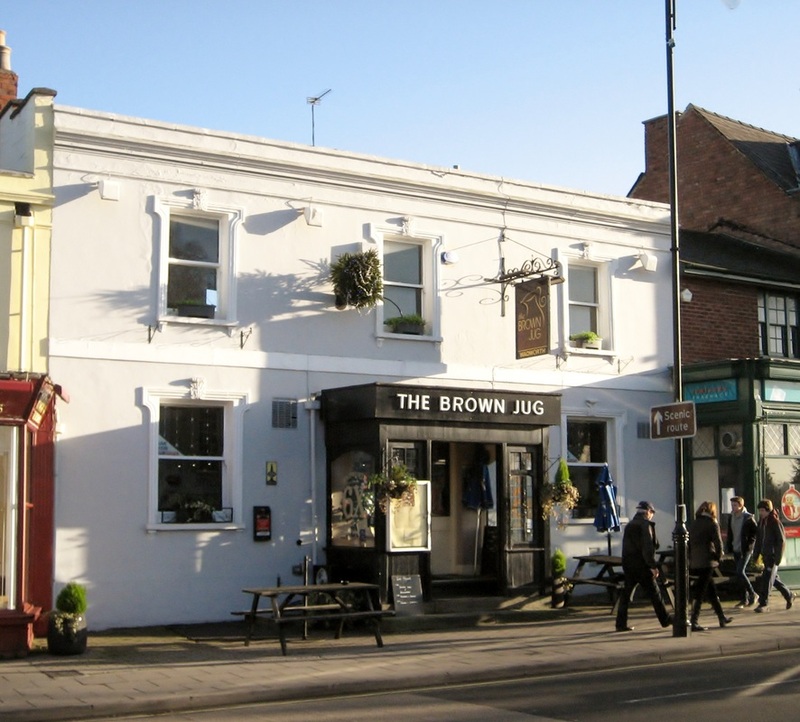 For the greatest part of its history this public house was known as The Brown Jug and it has been here since the mid 19th century (we are still trying to trace the exact date that it was established). ​One of the longest-serving landlords was Adolphus White, who was born in Cheltenham and was married to Annie Baylis. They had 12 children but lost 2 in infancy. Like many landlords Adolphus had another trade – his was carpentry. 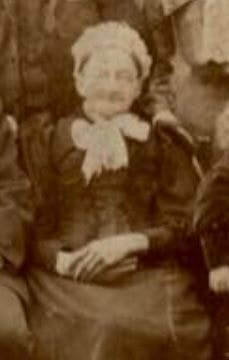 He died aged 53 in 1895, after which Annie continued to run the pub until about 1908. The premises seem to have been owned by Walter Buckle, who may also have owned other properties in this row, as far as the corner of Francis St.
Other landlords until the start of the First World War included Mr Henry Bristow Harbourne, who was here in the early years of the 20th century, Mr R.L. Smith and Mr W.Skarre. ​From about 1916 until 1926 Philip Williams was landlord here, followed by William Charles Cook. By the start of the Second World War –the landlord was William (or Reginald) Woolridge. 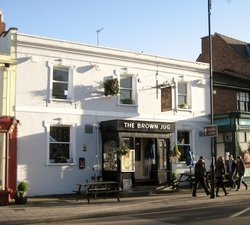 After the war there was a slight change in the name of the pub when it was called Ye Olde Browne Jugge but it changed back when the Brimfield family took over in the 1960s. Their connection with the pub lasted over thirty years with first Mr William Brimfield and then his son Derek taking over. Running the Brown Jug at the beginning of the 21st century were Peter and Jeanne Harris, who were followed by Matthew Birch in 2006.